Dr Stephen Dann is a Senior Lecturer in the Research School of Management, College of Business and Economics at the Australian National University. He has been recognized as one of the world’s senior social marketing researchers by the National Centre for Social Marketing (UK) at the World Social Marketing Conference in 2008. He is a Senior Fellow of the Higher Education Academy (UK), and recipient of the Australian and New Zealand Marketing Academy Conference Emerging Educator award, the College of Business and Economics Education Innovation award and the Australian National University Vice Chancellor’s Citation for Outstanding Contribution to Student Learning. 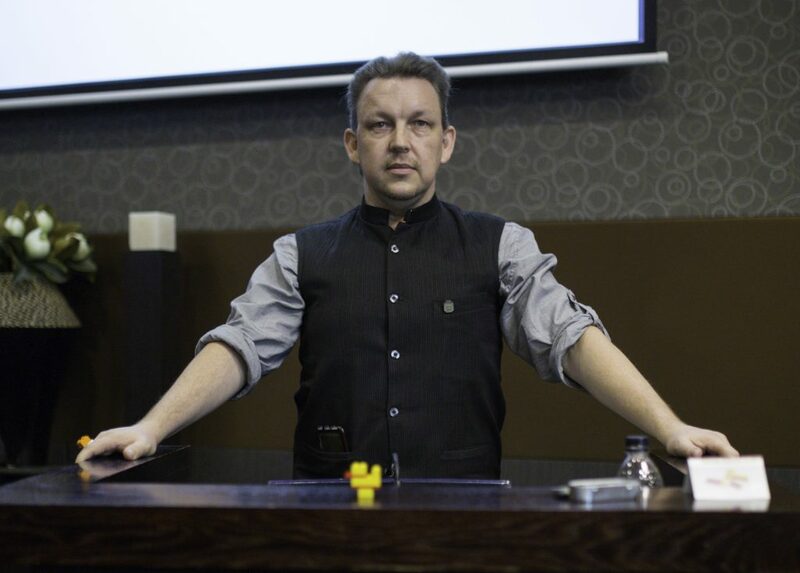 He is also a Certified Lego® Serious Play™ Facilitator, having run sessions in Australia, Canada and the United Kingdom. His research work has been published in European Journal of Marketing, Marketing Theory, Social Marketing Quarterly, and Journal of Business Research. He has a mixed methods portfolio with a preference for the novel ways to extract data from the world including text analysis of Twitter, content classifications for Instagram, undiscovered ontology approaches to parliamentary speeches, and visual metaphor making using the Lego Serious Play methodology.